Try this Teddy Bear Rhyme with your baby. 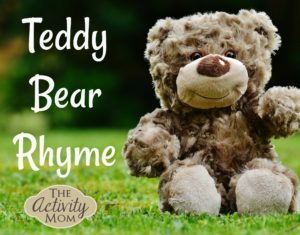 Use a favorite teddy bear or your child’s hands to do motions to act it out. There probably isn’t a need for me to even blog about baby activities, but I also specifically remember having thoughts like “Ok this says talk to your baby. I’m about out of things to talk about. Talk about what I’m doing? I’m cleaning. I’d rather not think about it let alone talk about it. What else could I talk about?” or “I wish I could remember some different songs/nursery rhymes. If I sing this song one more time I might go nuts.” Ha ha those memories make me laugh. So that is what my baby activity posts are about…just providing something new or different to try. This is a great post! I have a 9 month old right now and I’m realizing that I need to spend individualized time with him as much as I do with my 3 year old. 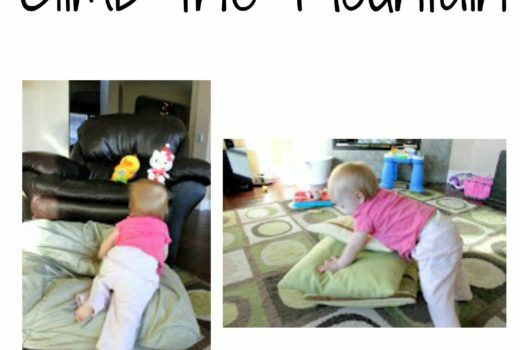 I’ve forgotten what I did with M&M when she was little so I’ll be looking for these posts in the future! This is great…I have been thinking about the things I used to to with Emily to do again with Juliette. I look forward to seeing your ideas. 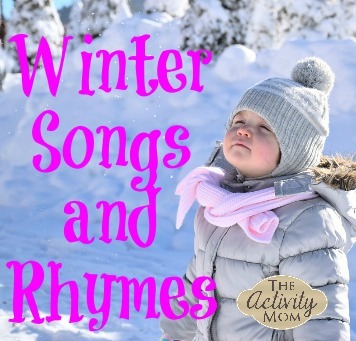 I have been posting mine baby activities, well only 2 so far on Tuesdays. Thanks for the rhyme. I have a 7 month old, and though you’re right about a mom’s instinct to do this stuff already, I am still always wondering what else I could be doing for/with him. I’ll do this with him tomorrow! I look forward to your weekend posts. I just happened to pop by and the little song you have posted here takes me back. I sang that little song to our Selena every night before she went to sleep, from the time she came home from the hospital. She heard it so much that she sings it herself now. What precious moments you are making. I don’t know how I missed this post! I’m glad you linked back to it in your post today. Congratulations on your new baby – I think this is a great way to prepare yourself and other moms for when you have your new little one. Thanks for sharing – you have some great ideas! !